M&K Sound V8 Series Single 8-inch Forward Facing Active Subwofer (Black) by MK Sound at IGWT. MPN: V8 Black. Hurry! Limited time offer. Offer valid only while supplies last. V also stands for Vindication, definitive proof of the right-ness of M&K Sound's innovative ideas and vision as pioneers in the field of subwoofers. 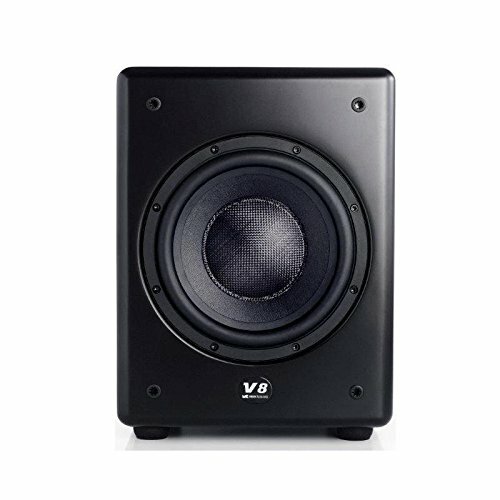 V also stands for Vindication, definitive proof of the right-ness of M&K Sound's innovative ideas and vision as pioneers in the field of subwoofers. In the case of the M&K Sound V Series trio of ultra-compact subwoofers, it also stands for Validation of concept and execution. Following the extended research and development process that led to the groundbreaking M&K Sound X Series of subwoofers, the all-new V Series draws heavily on knowledge and technology derived directly from that range of market leading, self-powered bass systems. If you have any questions about this product by MK Sound, contact us by completing and submitting the form below. If you are looking for a specif part number, please include it with your message.